This one was a surprise. 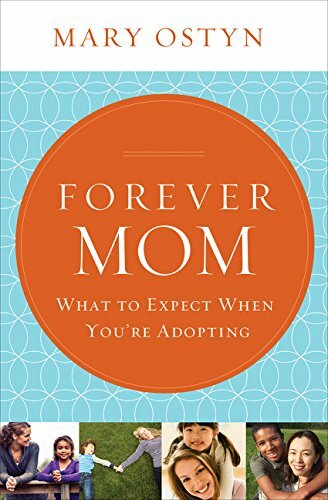 I expected it to be a memoir of author Mary Ostyn‘s adoption journey — she and her husband have adopted 6 children of different ages from Korea and Ethiopia. This book did not disappoint – it offers very candid accounts of each one of those decisions and how each child took a different path in settling into their family. What surprised me was the amount of down-to-earth advice the author squeezes into these stories. Forever Mom is as a much a how-to book & mentoring manual as it is the story of this particular family. As a reader with friends who are adopting, I found it really helpful. It sheds light on areas of the adoption and family-building process I had not considered before. And the author does a great job of celebrating their family’s successes without sugar coating the difficult parts of their journey. This entry was posted in Books and tagged adoption, Forever Mom, Mary Ostyn on November 14, 2014 by Trish Ryan.